Take your pick from these acoustic workhorses. 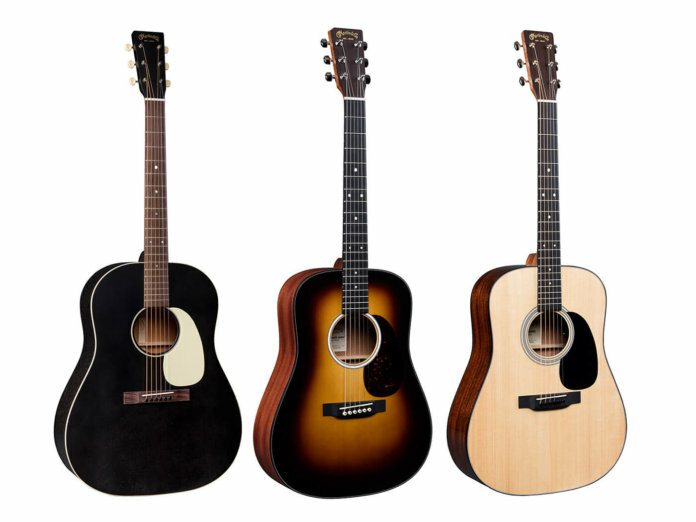 Martin has announced a slew of releases to follow the Woodstock tribute guitars. These include updates to its Dreadnought Jr and Road Series, as well as three new slope-shoulder guitars. 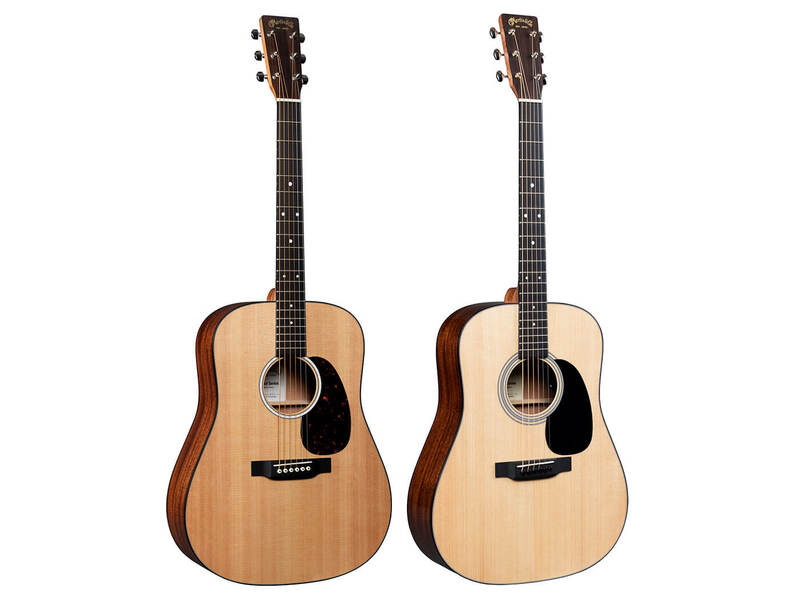 New to the Martin catalogue are a trio of dreadnoughts that sport a D-14 Fret Slope Shoulder body size. The guitar sports a well-worn look that’s achieved by a mahogany burst top as well as dark mahogany back and sides. Its vintage appeal is augmented by relic’d nickel tuners and an old-style script logo on the headstock. Modern features also make their way into the guitar’s construction, such as a scalloped bracing that ensures a well-balanced tone. These two models stand out from the pack with their elegant cosmetic appointments. They’re kitted out with gorgeous finishes, mother-of-pearl fingerboard inlays, antique white bindings, and ivoroid pickguards. 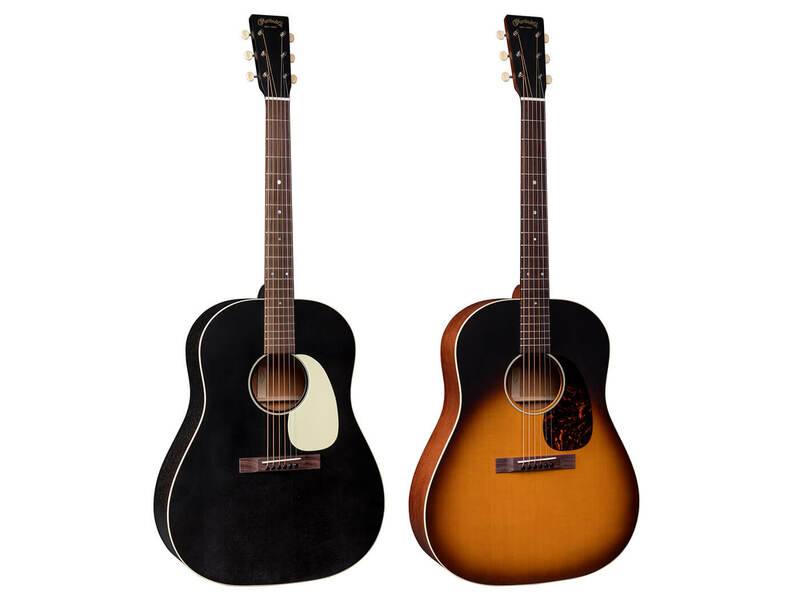 Both models feature a solid Sitka spruce top that’s paired with mahogany back and sides. Each guitar also comes with a modified low oval neck that has an ergonomic high-performance taper. The nickel tuners and headstock logo from the Streetmaster also appear on these models. This series is perfect for players who desire a big dreadnought tone in a smaller body. The two models – DJR-10 Burst and DJR-10 – sport a thinner 000 body depth that’s paired with softer back edges for increased playing comfort. 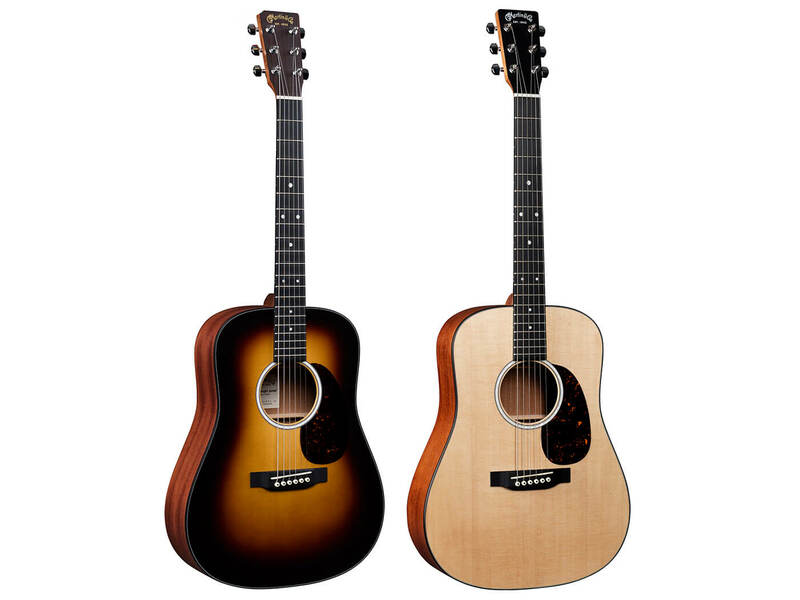 Both models come with either a sapele or Sitka spruce top, sapele back and sides, and a hand-rubbed hardwood neck. The models do not ship with a pickup system, but you can put down an extra $100 to load yours with Fishman Sonitone electronics. The DJR-10 Burst is available in Satin Sunburst and lists for $799. The DJR-10 has a natural finish and lists for $699. This series comprises full-sized, solid wood acoustics that are perfect for the budget-conscious player. The biggest update to the series is in the electronics department, with each model now fitted with a discreet Fishman MX-T pickup and a built-in soundhole tuner. Additionally, you’ll notice a gorgeous mother-of-pearl pattern adorning the guitars’ fingerboard and rosettes. The only exception to this design is the D-12E, which boasts a Style 28 rosette pattern instead. Retails from $1,099 to $1,699.